Sometimes you want to add a little roughness to your look with a hairstyle that's edgy, but still on trend. The braid is a great way to play with your hair because it can be hard or soft. Contrasting your braid with surrounding hair or your make up can create a style that's unique, offbeat and fun. 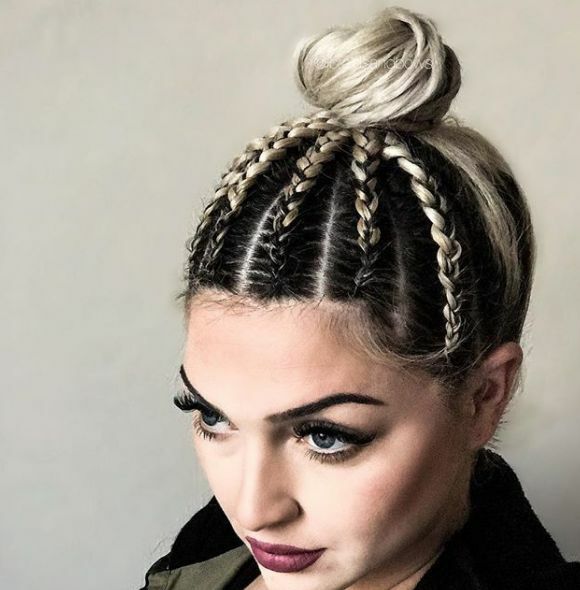 If you want to add a little grittiness to your look, check out these fantastic braid ideas. There's a little bit of everything (from innocent edgy to full-on rebellion), so let us know which one of these you want to try first. This sweet look is a modern nod to the ill-conceived mullet. Party on one side, business on the other. The peekaboo side braids add some harshness that feels a bit rebellious. The sweet flowing waves reign in the rebelliousness to just the right level. Edgy can be elegant and stunning. 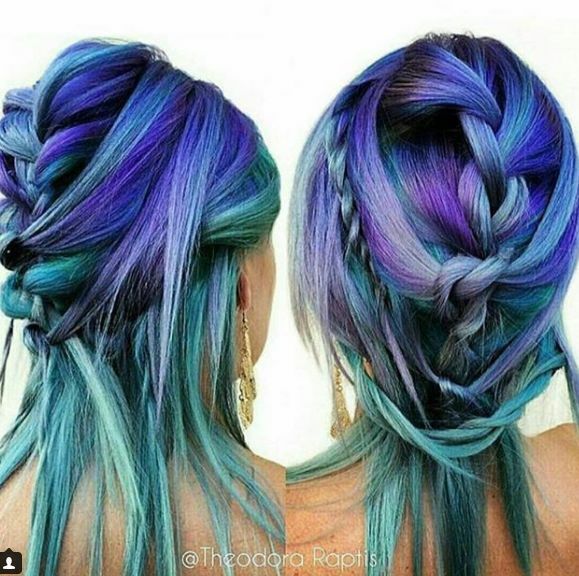 This gorgeous braided style relies heavily on pancaking. The softness of the braid offsets the edgy part and color. Adding a pretty hairpiece never hurt anyone either. 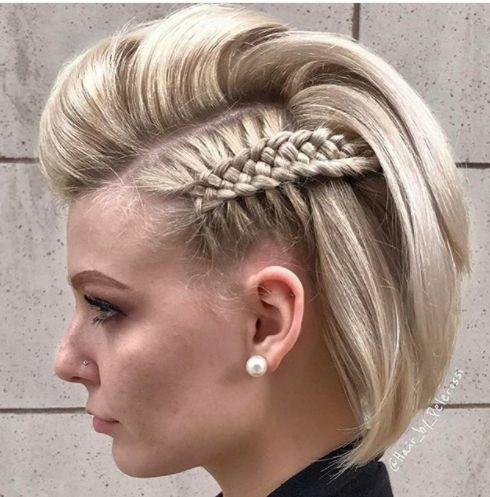 There's nothing simple about this mohawked braid. The weaving technique shows off a little skill and forethought. This is purposeful grittiness, and I love it! 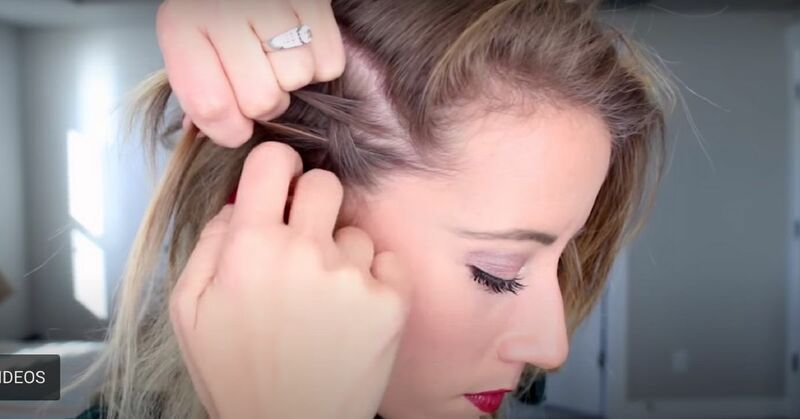 Hiding the ends of the braid under a flip of hair adds volume and keeps the style nice and tidy. 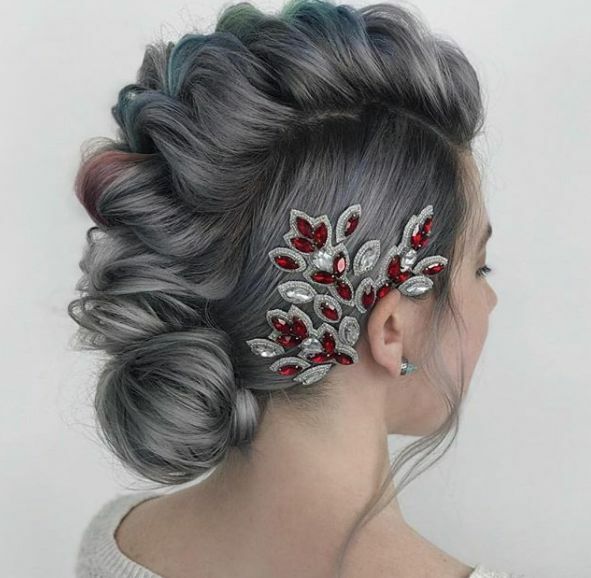 The dragon braid is a little edgy on its own. The simple placement of the plait and the tightness of the braid feels a little rough and tumble. 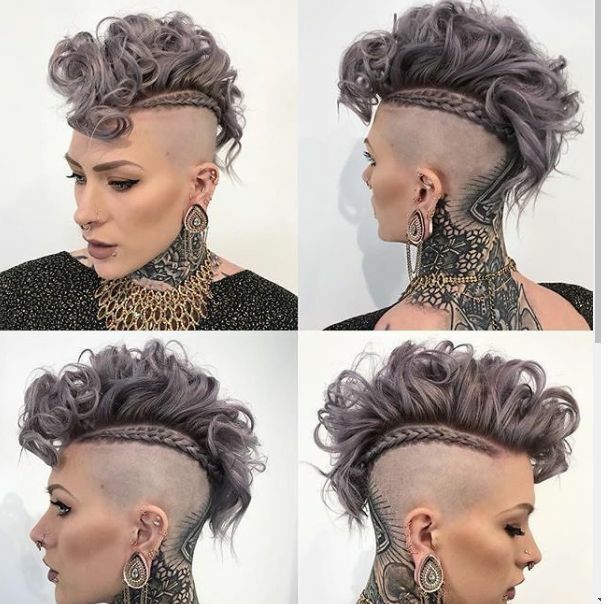 Add some intricate shaving underneath the hair, and you've got one rocking look. This braided look is as much about the contrasting color as the tight braids across the crown. The black and white coloring is elegant, but it also pushes the boundaries a bit. Add a softer top bun to keep it a little less brash. 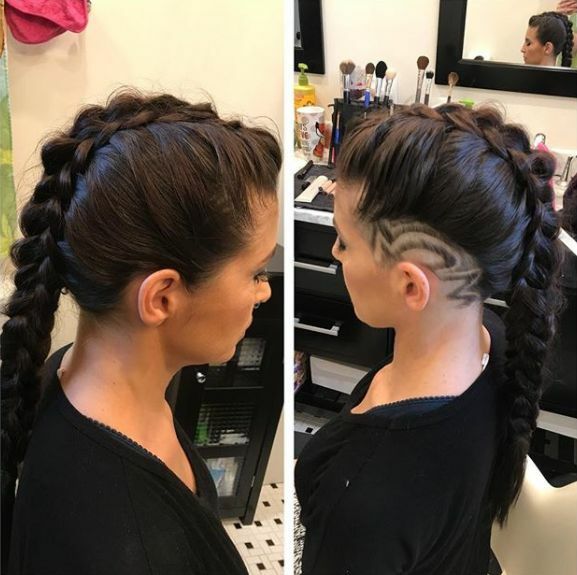 If you like to live on the edge, this braided mohawk is about as edgy as it gets. The soft curls are feminine and pretty. The coloring is great too. But, the tight braids that create an edge around the hairline seals the deal on this look. The mixed braid feels carefree and creative. The edginess comes from the organized disorganization of this hairstyle. While the look initially seems like a few random styles tossed in with loose pieces, you start to see how the illusion of "who cares" shows off the rebel spirit.